Internet Marketing, or Online Marketing involves using tools and platforms such as Websites, Search Engines, Social Media, Blogs, and Email to market products or services on the Internet. Technology has changed consumer behavior and the way consumers do their shopping. To keep up with changing consumer behavior, marketing methods have adapted to include the Internet as an integral part of effective marketing plans. Mister Ji understands that most of us do not want to hear about the boring details, you want to know what's in it for me? Mister Ji will cover the benefits of Internet Marketing before giving you the boring (but necessary) details. You may be thinking, do I even need to learn about Internet Marketing?If you want to sell products, provide services, or show off your talents, then you need Internet Marketing. No matter how many excuses you can come up with against marketing your business online, one simple fact trumps them all: You simply cannot reach as many people without the Internet! Computers, phones, and tablets have permanently glued us to the Internet. Many televisions, Blu-rays, and even your car might be connected to the Internet. It is not 1994! As of 2014, everyone and their grandmother is on the Internet. Today, consumers use many online services such as Google, Amazon, eBay, YouTube, Facebook, and Twitter to research and purchase products or services. By taking your business online and implementing an effective Internet Marketing strategy, the whole world can be your market. You should aim to globalize your business and through the Internet, you can overcome barriers of distance. For a typical business, you are lucky if you can reach 10% of the people in your city. For you, how many people would that be? Out of the 10%, how many will be interested in your products or services? How many are willing to come to you? How many will actually make a purchase? Now, ask the same questions but replace your city, with the whole world. Naturally, an increase in market size means you will see an increase in customers. Increase in customers, means you can decrease your rates and stay competitive, while making MORE MONEY. No, it is not a secret formula, it is called VOLUME. You might be making 5% less per item but if you sell 100 times more, you will make more money. Besides, if you truly love me, why are you afraid of telling the whole world? Adding legitimacy to your business is another reason why being on the Internet is important. Consumers will research a business before they feel comfortable spending money to acquire a service or product. Research consists of searching for your business on the Internet and reading reviews. If your potential customers cannot find your business on the Internet, they may assume your business is too small, not popular, or even fraudulent. You do not want to give consumers a reason to doubt the legitimacy of your business, especially with competition being a click away. You will not need a lie detector test and Maury to confirm that YOU ARE A BUSINESS! Most of us have heard the phrase, "out of sight, out of mind." What that phrase means is that if people do not continue to see or hear about you, they will forget about you. For a business, the aim should be to make every customer, a repeat customer. Internet marketing enables you to take advantage of the growing importance of social media. What is social media? Social media includes, Facebook, Twitter, YouTube, and much more. Learn to use Social Media and other resources on the Internet to stay connected to your customers. Do not let your customers forget about you. If they leave, you can sing all you want, but your baby may not come back! Websites can be the Internet equivalents of offline brochures or mail order catalogs and they are a great way to establish your business identity. The key difference is that websites allow you to sell your products directly. These websites are known as e-commerce websites. A the minimum, websites should include information about your services, products, pricing, contact information, and a way of obtaining feedback. A great website should be much more than just information. These days, websites have become essential for marketing your business, carrying out sales transactions, and customer interactivity. In today's business market, it is nearly impossible for a business to operate effectively without a website. 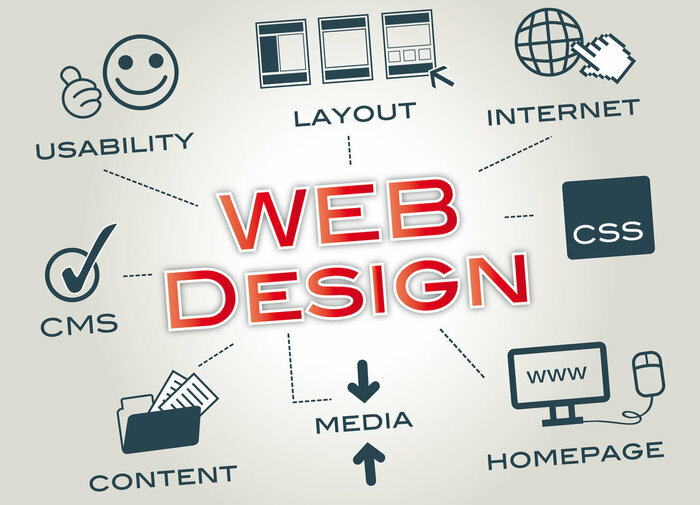 Websites are the foundation of Internet Marketing; however, they are also just the first step. Oh website, you are so great, only if others knew you like I do! Studies have shown approximately 9 out of 10 consumers search for products or services online through search engines such as Google and Bing. Search Engine Marketing (SEM) is marketing a website on the Internet via search engines, either by improving the site's natural (organic) ranking through Search Engine Optimization (SEO), buying pay-per-click (PPC) ads or purchasing pay-for-inclusion (PFI) listings in website directories, which are similar to offline yellow page listings. Studies have shown that users click on organic results 75% of the time over paid results, which means hire an SEO expert and do not waste your money paying for your ranking. Dear paid ads, you almost had me because of your great looks, but I'm not that shallow. 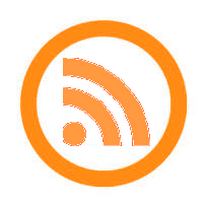 Blogging is the act of posting comments, expressing opinions or making announcements in a discussion forum and can be accomplished either by hosting your own blog or by posting comments, articles, and/or URLs in other blogs related to your product or service online. Blogs can also help improve your organic SEO because the more articles you have, the more topics your website can be found under on search engines results. Many businesses use blogs to provide information about topics customers are interested in, which can be a great way of showing your customers a sample of your expertise. If they like what they are reading, they will likely turn to your services when in need. What would I do without you blog, you always seem to have all the answers. Social Media Marketing (SMM) involves social media platforms and networks such as Twitter, LinkedIn, Facebook, YouTube and social bookmarking sites like Digg. 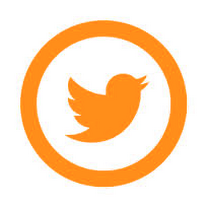 These platforms can help you spread the word about your business very quickly. You can very easily network with thousands of people in a short period of time. It's also a great way of sharing announcements, promotions, and passing on information about your business. Most importantly, it helps you stay connected to your customers, which means they will not forget about you. CAN'T GET YOU OUT OF MY HEAD! Email Marketing is a method of distributing information about a product or service through Email. Email addresses of customers may be collected or purchased. Various methods are used, such as the regular distribution of newsletters or mass mailing of offers related to the company's product or services. Email marketing is essentially the online equivalent of direct mail marketing. Email marketing can be seen as spamming by some recipients. Some people really dislike receiving ads in their emails. However, a less annoying approach involves you periodically providing your customers with major updates about your business, blog articles, or legitimate promotions. I feel like if you just gave me a little bit of space sometimes, it might better for the both of us. WHAT MAKES MISTER JI SO SPECIAL? Congratulations! If you made it this far, you are the first one. With all jokes aside, Mister Ji's Internet Marketing strategy is quite different. Mister Ji specializes in developing Internet Marketing strategies for small businesses, entrepreneurs, and start-ups. You will find two types of Internet Marketing consultants. The first type that aim for the big business clients and will stick to the sophisticated but expensive methods. These types of consultants do minimum work themselves. They apply the same methods that they have learned to all businesses. They often use purchased tools and plugins. They will require a lot of effort from you and will spend months developing a marketing plan, business plan, and a plan to build your brand. However, their approach also means it will cost you a lot. The second type have learned through experience. These might still charge you a decent amount but will take a quicker approach through shortcuts. They might stick to the essentials and bare minimum. It is like choosing between an engineer and a technician. One will spend a lot of time and money but will probably benefit you in the long run, the other knows all of the shortcuts but may be limited in knowledge. You do not want to call an engineer to repair a fridge. At the same time, you do not want to call a technician to build a dam. You can say that Mister Ji has worked both as an Engineer and a Technician. Mister Ji will help you implement the type of strategy that is right for your business; nothing more, nothing less. 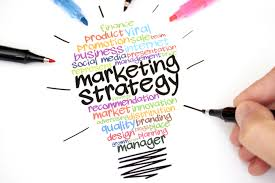 If you are fresh entrepreneur and what to start a business, your needs will be different than an established business that is looking to expand.The goals and purpose of your business will help determine your Internet Marketing marketing strategy. Using your time and money effectively is more important than how much time and money you spend. Don’t lose customers: Even if you are not planning to operate your business online, you still need a website. Without a website, you will lose customers. Customers search for services, products, reviews, contact information, and directions using the internet. If customers can’t find you, they may turn to another business. Spreading the word: It is easier for customers to share your site through email or social media than recalling your information. Through the internet, information can spread quicker than a virus. Credibility: Without a website, your customers may think your business is outdated or less credible than your competitors. Visual appearance: Most of us know not to judge a book by its cover. The problem is that most of us do. It may not be your permanent opinion but a first impression is very important. The layout, images, and colors should represent your business. These elements should be consistent with what your target customers expect from your business. The site’s appearance doesn’t need to please everyone but it’s important that your target customers find it appealing. It should be organized, clean, and professional, which doesn’t mean it can’t be creative. Content: The content and information on the website should be relevant and appropriate for your business. The information should be easy to find and understand. Clearly explain your services, products, pricing, and packages. In short, customers want to know what you do and how much you charge. Updates: In addition to the information about your business, include a component that gives your customers a reason to come back. You can include a blog, announcements, tips, and printable coupons. Have regular updates, whether it’s daily, once a week, or once a month. Usability: Your website should be fast loading and easy to navigate. If information is more than 3 clicks away, customers won’t bother looking for it. Usability and appearance are integral to customer experience. Easy to share and follow: Include buttons that allow customers to save and share your website. Also, include your social media links, so customers can follow you. It allows customers to stay connected to your business. E-Commerce: If you are looking to conduct business online, you need a convenient method of performing e-commerce transactions. PayPal is one commonly used service. Web analytics: If you have a website, understanding how customers get to it and which parts of the site they are looking at frequently will help you understand which services are popular. 89% of customer use search engines to make purchasing decisions. 75% of customers do not click past the first page of search results. 70% of links customers click on are organic results. Only 30% are paid results. Search engines are the #1 driver of traffic to content sites. There are over 600,000,000 websites on the Internet—without SEO, no one will find your website! Simple Definition: SEO improves the chances of your website and information appearing on the first page of search results. On-site SEO: There are many factors on your site that determine its ranking. 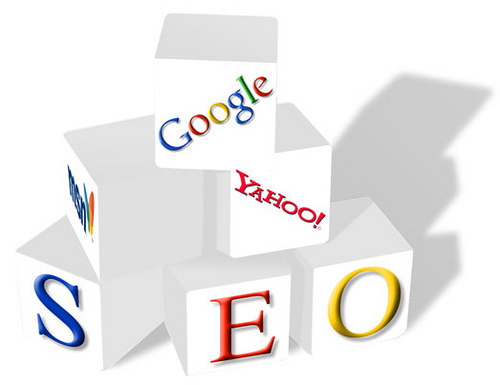 Properly optimizing all elements of your site for particular keywords will increase its ranking on search results. Off-site SEO: There are factors away from your site that affect its ranking on search engines. If you have proper on-site and off-site SEO, your website will see more customer traffic but there’s still more you can do. Local SEO: A customer from Sacramento looking for a local auto repair shop does not want to find one in New York! Local business owners should understand that local searches are more likely to result in customers coming to their businesses. Local SEO targets LOCAL customers! 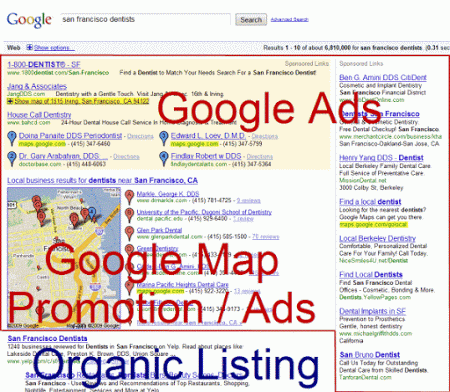 Organic Listings: Listings that are not paid ads and appear in search results are called organic listings. Customer behavior favors organic results. About 70% of links that are clicked from search results are organic listings. To organically increase your site’s ranking takes expertise, time, and effort; however, the results are long lasting. Paid Ads: You can pay to increase the ranking of your site but paid ads are more expensive, yet less effective than organic listings. Only 30% of links that are clicked from search results are paid ads. Maybe it is because the section where your site will be listed is labeled “Ads.” Would you click on an Ad? Most customers doubt the authenticity of paid advertisements, so it makes sense that customers do not click on them. Lastly, your ad is not guaranteed to appear on the first page or to stay there forever. It stays as long as you pay. Incomplete Definition: Name and logo. Name and logo - Do you think that’s all there is to your business? I am guessing you said no. Customers associate more than just your name and logo to your services or products. A brand should be an experience, style, and culture. Your name and logo mean nothing if your customers dislike the other parts of your business. Building a quality brand is just as important as the actual products and services you provide. What is Brand Building or Brand Development? Talking the Talk: Brand Building means incorporating your brand in your everyday life; more importantly, it means incorporating your business brand in the lives of others. Getting to that level is tough but there is always a starting point. If you are an entrepreneur, the starting point is YOU. This means that you should be your own walking, talking, and living brand. Everything you do, say, and wear should incorporate your brand. If you are able to do that successfully, you have just climbed one step of the ladder. Walking the Walk: You can be the greatest car salesman of all time but you cannot pass a junk car for a BMW. Even if you get lucky and fool a few people, it won’t be long before the word gets out. That is why a part of brand building involves improving the quality of your product, service, and reputation. How often do we see overly-hyped products flop in the market? If you promise someone a million dollars, they better receive a million and one. Always one more, never one less. Consistently outperforming expectations is the key to reaching your goals. What are the Benefits of Mister Ji’s Brand Development Services? • Generate and Maintain "Buzz"
Social Media is hard to define because it is a very broad term and encompasses many subcategories that need their own definition. The best definition I have found actually came from Wikipedia. "Social Media is the social interaction among people in which they create, share or exchange information and ideas in virtual communities and networks." Social media uses both internet and mobile technologies. What are the subcategories of Social Media? There are many subcategories but I am going to cover only those that can be used for marketing. Why are there so many social media sites and applications? When something is popular, others are bound to copy it. Secondly, different sites have different communities. The differences in communities might due to: geographic areas, cultures, age, gender, interests or professions. The third reason is that each may have offer something different for the users. Some might be easy to use, while others might provide more features and flexibility. According to the Business Insider, "social media is now the top Internet activity." Social media users are usually very active and engaged, which makes social media a great way to market your business and connect with your customers. Because different social media sites and applications offer different communities and features, you must use the right one. It is not practical to try and use every social media site out there; you simply will not have the time. Select a social media service that matches your style and your customer base. Online Reputation Management involves understanding, maintaining, and restoring your image and presence on the internet. Your personal information is all over the internet: In today's internet connected world, you are constantly leaving traces of information about yourself online. Through search engines and social media, anyone can find information about you personally, your business, or your employees. Even if you never post content online, other people might post comments and information about you without your knowledge. There are also the “find your lost friend” types of services that will give users access to your address, phone number, and even relatives; that information is available free of charge! Increased public scrutiny: Society expects you to be "politically correct”. People lose jobs, positions, and business opportunities because of the traces they leave online. Whether you leave comments on a blog, upload inappropriate photos to social networks, or receive bad customer reviews, there are numerous ways for your reputation to be stained. Even a simple joke amongst friends can be misunderstood by other people and stain your reputation. A stained reputation is like a stained shirt: some stains are hard to remove. When a stain gets hard to remove, you should hire an expert. The more appropriate question would be who doesn't? Most of us assume that you only need to manage your reputation if you are a celebrity or a government official because we see so many scandals unfold in the news. Their stories are in the news because they sell. In reality, people of all type have suffered from a lack of online reputation management. We all make mistakes but do not let it become a permanent stain!